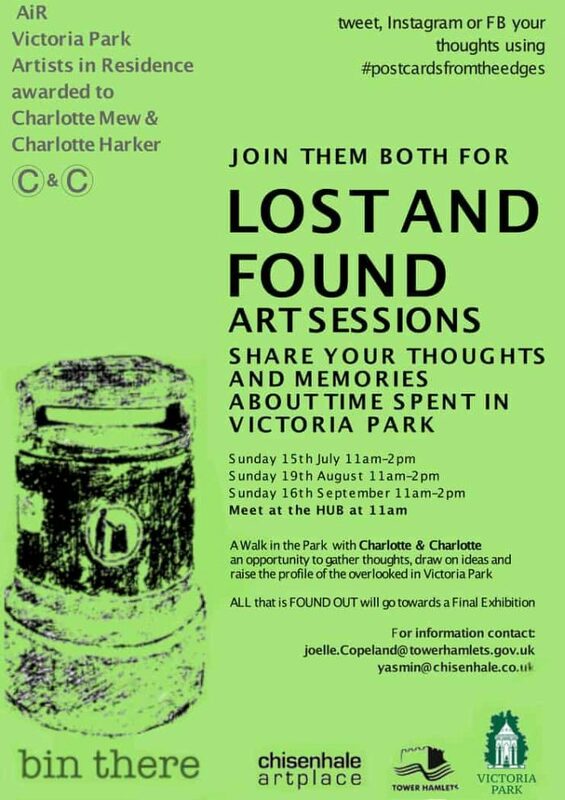 Join Charlotte and Charlotte for explorative art sessions at the Hub in Victoria Park and share your thoughts and memories of unknown or forgotten parts of the park. But if you can’t make it for any of the sessions there will still be opportunity to have your say or make your mark using #postcardsfromtheedges, which will run for the duration of the residency. These postcards can be found all around the park and you can use them to share your thoughts ideas or even drawings about the park. You can leave these at the Hub reception for the two Charlottes. All the work contributed will be used for the final Exhibition.